Party, party, party! You can always find an excuse for a good party, but you do have to hang up the garlands yourself. But maybe not always, someone might throw a surprise party for you! Or throw a surprise party yourself for someone! We’ll share a few tips right away. And as a bonus, a great gift idea! Do we have your attention? How do you make it a surprising and unforgettable party? 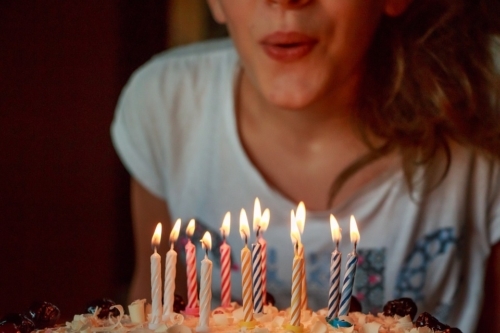 Here are a few inspiring tips… And eh, keep quiet, it is a surprise party after all. What is the goal of the party? Is it related to a birthday or is there a different occasion. Keep in mind that a surprise party leave a big impression on the surprisee, as you can probably imagine. Think about what the goal is, so you can communicate this in the invitation. An important question to ask yourself is what the location of the party will be, in what area do most friends and family live? Can the party be thrown at the receivers house or should it be thrown at an external location? Is the location easy to reach and decorate or could this be a challenge? Make sure to go through this list when organising a surprise party before handing out invitations to guests. Finding a date where everyone or most guests are free to attend requires quite a bit of puzzling! The larger the group, the harder it gets. In any case something you should do is keeping in mind the schedule of the receiver. Would be nice to have him/her attend the party, right!? Take as many schedules into account as you can, but eventually you will have to make a decision. Also think about an appropriate time, depending on the time you can decide what kind of snacks and drinks you need, and when people need to go home. Tough one, who will you invite? Well, most of all the people who he/she spends a lot of time with. Take a look at his/her social media accounts and if you happen to share some contacts, ask them directly. This way you can figure out how to reach multiple contacts together. Feel like organising a theme party? Figure this out beforehand, so you can mention the theme in the invitation and carry it over while decorating. The possibilities are endless, from black and white to Texas, a princess party, the 60’s or Marvel. Make sure to have a plan B in case the surprisee makes a proposal for the same date. If the receiver happens to come over during the preparations, be sure to be able to create a distraction. Write a fun and compelling text to inform the guests about your surprise party. Highlight the importance of the secrecy and share the back-up plan so the guests are up to date. Keep track of the amount of people who will show up and if you might need to account for anything further. Check, check, double check! Send a reminder with the location, date and time, and the confidentiality (possibly the back-up plan) just to be sure. Emphasize the importance of being on time to ensure the surprise element. Everyone needs to be present at X time, so you can give everyone instructions. Do you have a guestlist and the time? Then you can create your shopping list around the amount of guests and the time of the party. Choose your snacks and don’t forget the cake or muffins. Depending on the theme you can decorate the living room or your other location. Make sure nothing shows from the outside, else the surprise element will be ruined. Last but not least… The gift! It’s fun to give a present on behalf of all guests that you all created together. How about a magazine full of pictures and stories from the old days? With Jilster you can easily design a magazine and order it to print in different versions. Another option is to create a magazine after the party. You can do this together or by yourself. With the pictures from the party and input from all the guests, your magazine will be a beautiful tangible memory to look back on.